Greensprings West. 4 + Bedroom home on cul de sac. Master bedroom on second floor boasts high ceilings, huge en-suite bathroom with walk-in closet and additional room (nursery, study, workout area?). 2 other bedrooms upstairs + Bonus room (or 5th bedroom) with full closet. 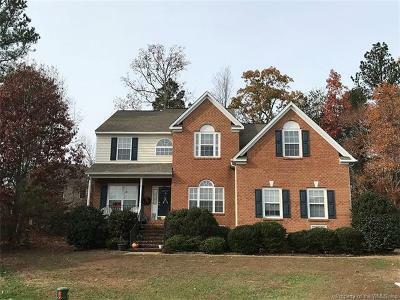 Main floor has formal dining room, living room, open concept family room with fireplace, large eat in kitchen, and a bedroom with direct access to main floor half bath, spacious enough to create a full bath. 3287 Square foot on .34 Acre. Some images have been digitally altered to better feature the home. Subject to a ratified contract with contingencies. Owner wishes to continue to show the property and will consider other offers.